DDC Lab group was founded in 2007. Now we have offices in two cities ― St. Petersburg and Moscow. Our main fields of activity are marketing research, branding, online and TV advertisements. We collaborate with huge Russian and foreign companies from varied fields of business and we offer a range of services comprising the development of brand research, brand design and brand promotion. Taking into account the customer’s business, we engineer creative solutions efficiently engaging with consumer communication. The result of our activity is a set of successfully working brands, which become leaders in their fields. 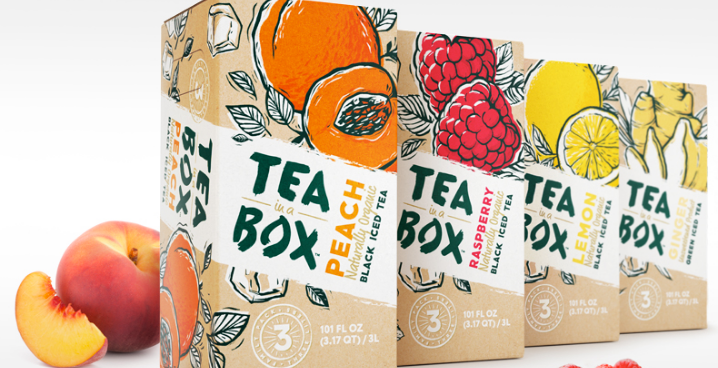 Description TEA in a BOX is a unique line of natural organic iced tea beverages available in six distinct new flavors, which include Peach White Iced Tea, Lemon Black Iced Tea, Raspberry Black Iced Tea, Jasmine Green Iced Tea, Ginger Green Iced Tea and Mint Green Iced Tea. A truly refreshing treat for the entire family, TEA in a BOX comes in an innovative horizontal box. It is made of environmentally friendly unbleached cardboard that fits neatly on refrigerator shelves for easy access. The special spout design prevents drips and spills of all Tea in A Box organic iced teas. Packaging design reflects the natural character of the drink — all flavor and label illustrations are drawn by hand and made in linocuts style. Graphics is applied all over the square shape of the packaging, so that several packages are perfectly combined together and look great on the shelf. 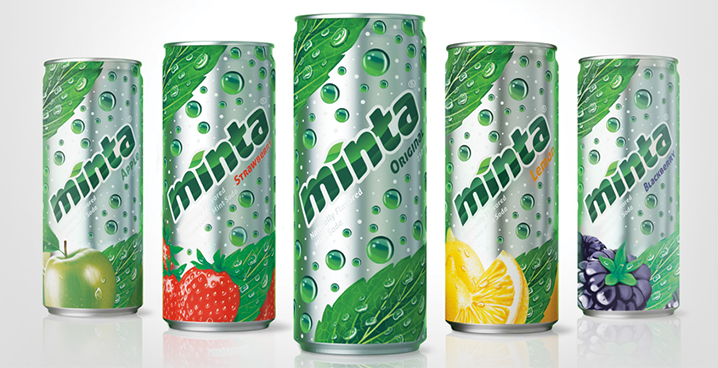 Task design a new brand of mint soft drink, emphasizing its fresh and light flavor. Description Project included creation of trademark logo, packaging and label design as well as its adaptation for the range of SKU (MINTA Original and MINTA Diet in glass bottle, plastic bottle and slim can), shrink wrap multipack design and development of promo website. Bottle look is based on “no-label” effect, minimal neck label instead of traditional face label. Bottle embossing helps to make its surface tactile and pleasant to touch. 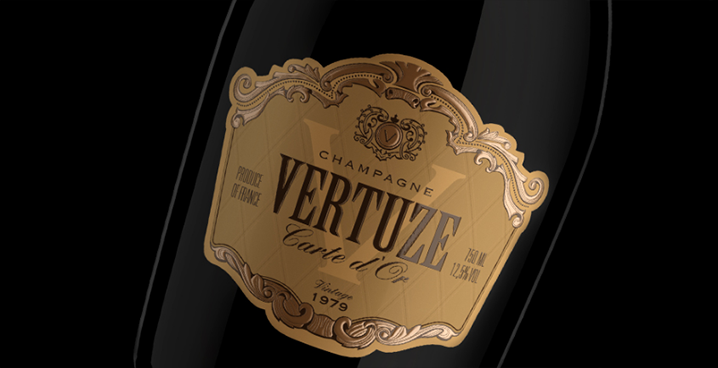 Description Vertuze is the premium sparkling wine, intended to be sold in North America and Western Europe. For the Vertuze brand we designed the logo and identity kit, revealing the idea of continuity of tradition, honor and luxury. Elements of packaging identity: ornament with reference to the baroque style, heraldic symbols, discreet colors, brand name resembling a heart is embossed with gold. The work entered the short list of international competition Identity: Best of the Best 2010 in the category “Visual identity of consumer brands” and “Packaging Design”. 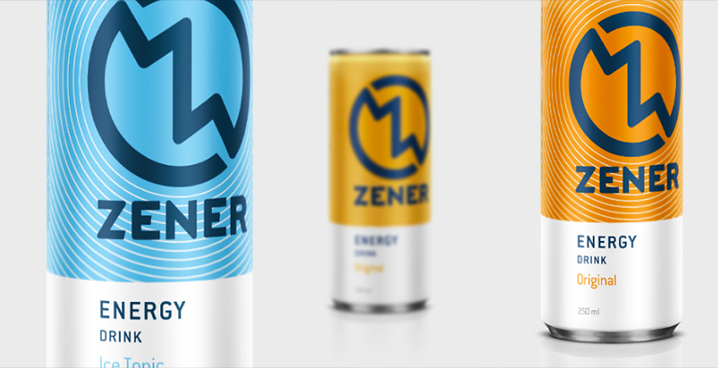 Description ZENER philosophy is based on the principle that life is a sports track, exciting and full of twists and turns, the target audience of the brand are athletes and people leading an active lifestyle. The formula of the drink is created and manufactured in Russia under the guidance of leading industry professionals. The production does not use fructose syrup, and the drink contains a large amount of vitamins (B3, B5, B6, B7), and only the best and quality ingredients that make the brain and body work. The basis of the name ZENER is a semiconductor diode, whose main function is to stabilize the voltage. For the packaging of the beverage slim line can was chosen with capacity of 0,25 L. Thanks to soft touch, matte finish of the can it lays comfortable in hand and does not glare in complex lighting. Brand logo is a turned initial letter («Z») which recalls the human pulse and reflects the dynamics and the rotation of the racing car wheel. Circular lines diverge from the center to the sides of the can provding extra volume and design perfection. DescriptionWhile working on the redesign logo was updated, product name became more vivid and and evident. New label is enriched with gold foil stamping and additional graphics, historical ornament Due to the color coding it is more easier to distinct the beer kinds on the shelf.